Christmas is just around the corner and you don’t have your white elephant gift yet? Don’t panic we have 18 white elephant gifts under $12 that will save you from any holiday gift disaster. They are cheap, adorable and totally perfect. We know that some white elephant gifts are quirky, goofy and stuff you don’t actually want, but these gifts aren’t like that — we promise. Sure there are some silly gifts, and some Christmas specific presents in the bunch, but overall they are something you’d really want to get. Be the white elephant winner, with the cutest and funnest gifts around this year by buying any of the gifts below. PS: Since they’re only $12 or less, you could even buy one for the exchange and one for your own stocking. We won’t tell…but Santa will know! Aren’t these just the cutest? 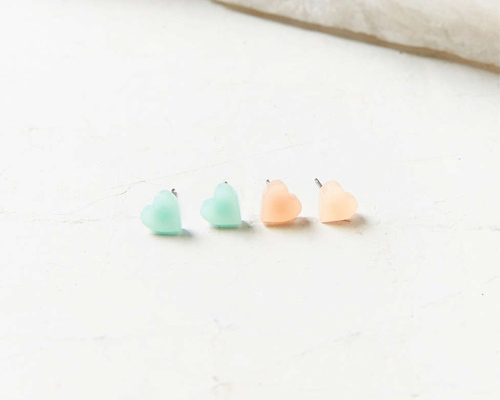 These Urban Outfitters’ pastel candy colored earrings are only $12 and you get two sets! You can mix and match them, or wear one color at a time, either way they will be the perfect accessory for any woman. Every lady needs a pair of flannel pajama pants, so why not make them puppy pjs? 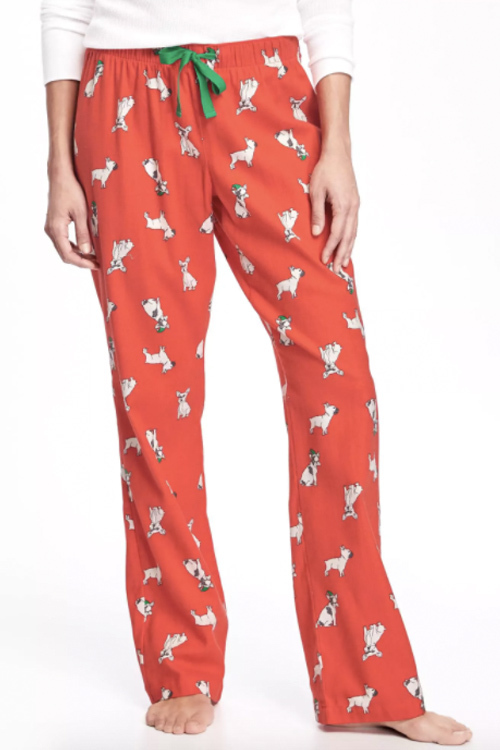 These Old Navy bulldog printed pants are now available for $6. At this price we are tempted to buy more than one…maybe even three pairs. This is totally functional, but the added cat ears design makes it fun to carry as well. 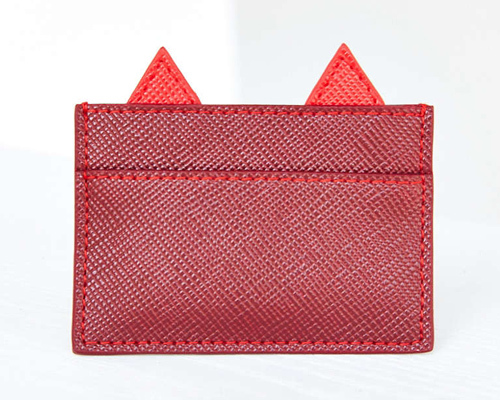 It’s a credit card holder that’s available on Urban Outfitters for $10 and its added shine will make it easier to spot in your purse. Regina George would totally approve of this white elephant gift. 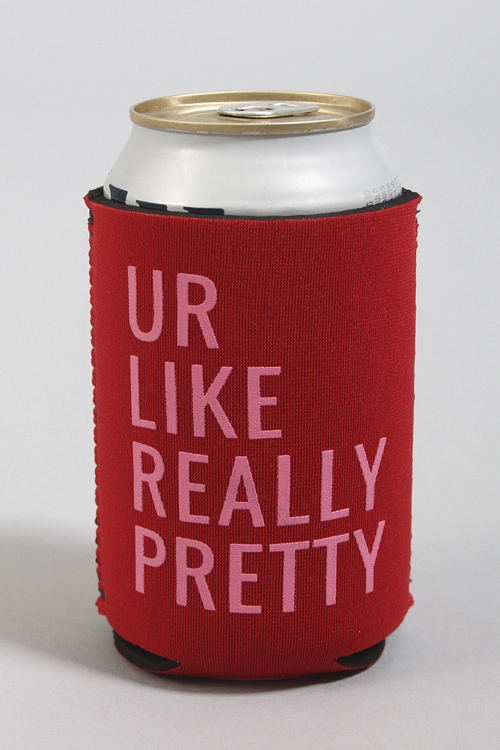 The adorable coozie is available at RiffRaff.com for $6. There are other designs as well, in case Mean Girls isn’t your style. Calling all travel girls, this one’s for you! This bright and bold luggage tag from Ban.do is super cute and it’s only $10. We love the saying, “Here comes the fun,” because let’s face it when you’re traveling fun is top priority. 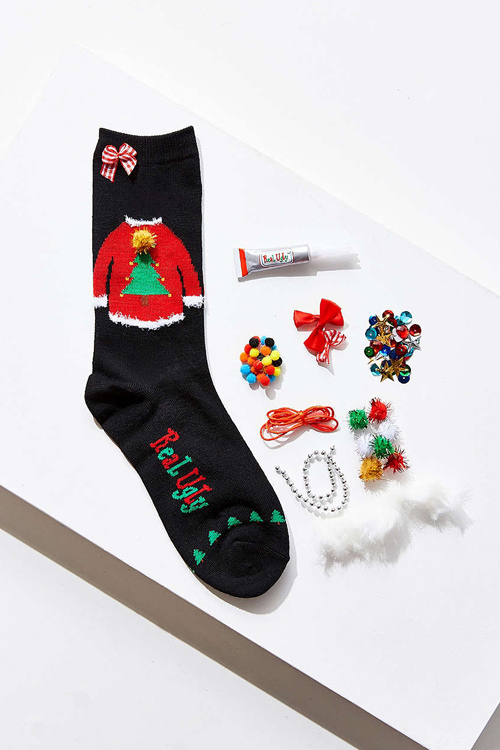 Real Ugly Socks created the best combination of Christmas magic and the ugly Christmas sweater trend in sock form and we’re obsessed. You can design your own funky socks for $12 if you pick these up from Urban Outfitters now. They’re festive and fabulous. The ’90s are back baby and scrunchies are never out of style. 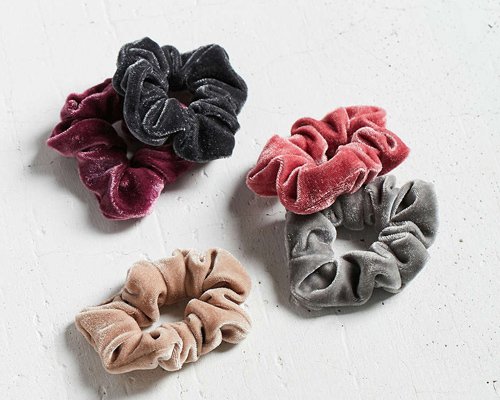 Channel your childhood self with these velvet scrunchies from Urban Outfitters for $12. You get five different colors, so you can wear one every day of the work week. You don’t even need a green thumb to make this gift work! 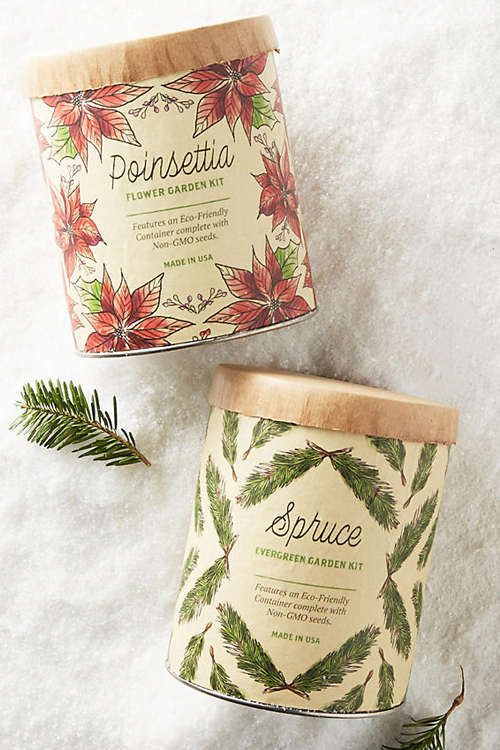 Thanks to Modern Sprout and Anthropologie, you can make your own poinsettia or spruce garden from this pretty little kit. It costs $12 and it’s the gift that keeps on growing. 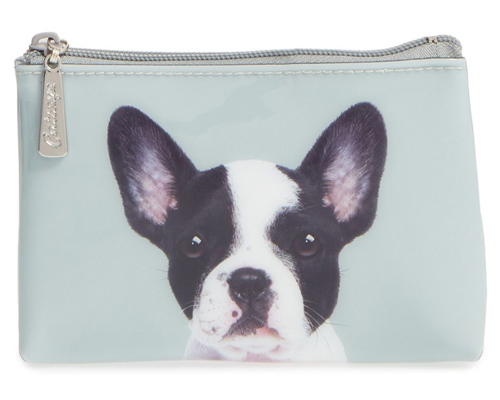 Catseye London’s Boston Terrier pouch is ideal for the animal lover in your group. It’s available at Nordstrom for $12 and can hold your makeup, dog food money, or anything else you need to carry. It also comes in a cat design, for all you cat lovers. Pizza socks are almost as good as eating pizza…almost. 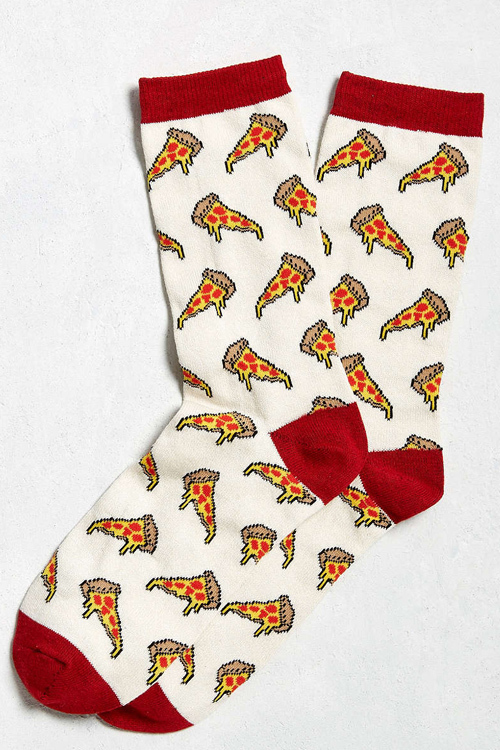 With these $8 Urban Outfitters socks you can now eat pizza while wearing pizza and it’s pizza perfection. Two necklaces are always better than one. 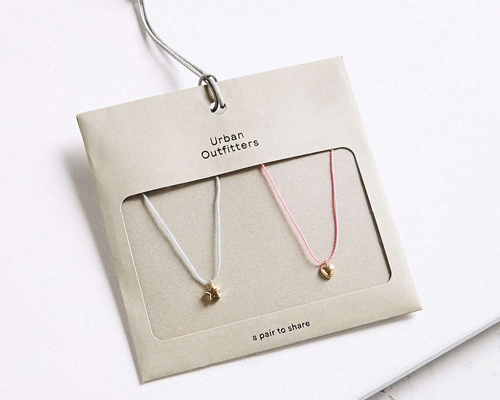 This dainty best friend necklace set is exclusively at Urban Outfitters for $12 and it’s two gifts in one. There is a star design for one bestie and a heart design for another. So cute! 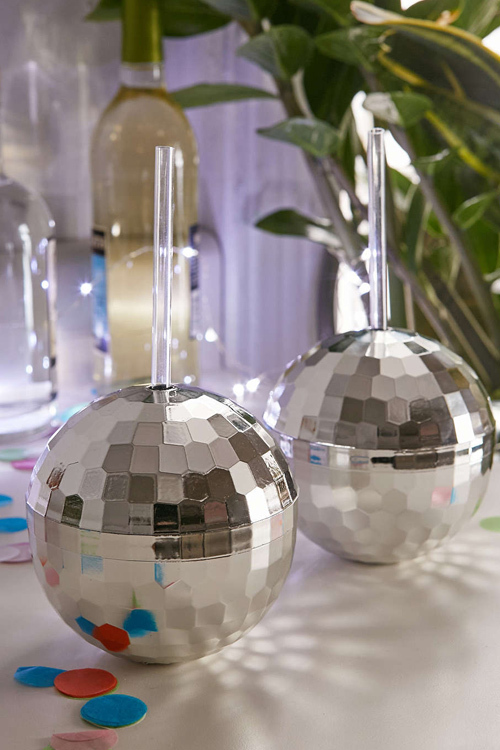 You’ll definitely be the life of the party with one of these sassy disco drink sippers. It’s perfect for any occasion, but a total must for all your Christmas parties — and New Year’s bashes. You can get one for $8 at Urban Outfitters now. What’s better than Santa’s little helper assisting the guy in red over the holidays? 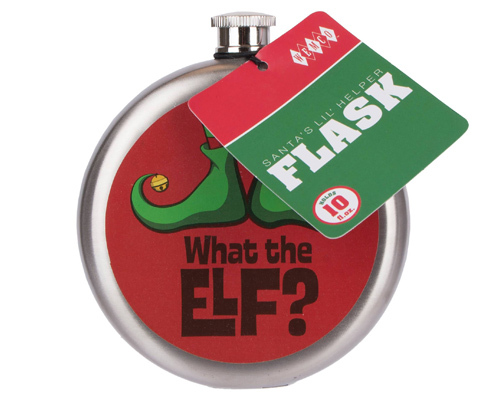 The Wemco flask helping you get through your family Christmas party, duh. It says “What the elf?” on it and we just can’t stop laughing. Oh, and it’s $10. Candles are an easy and always well-liked gift. 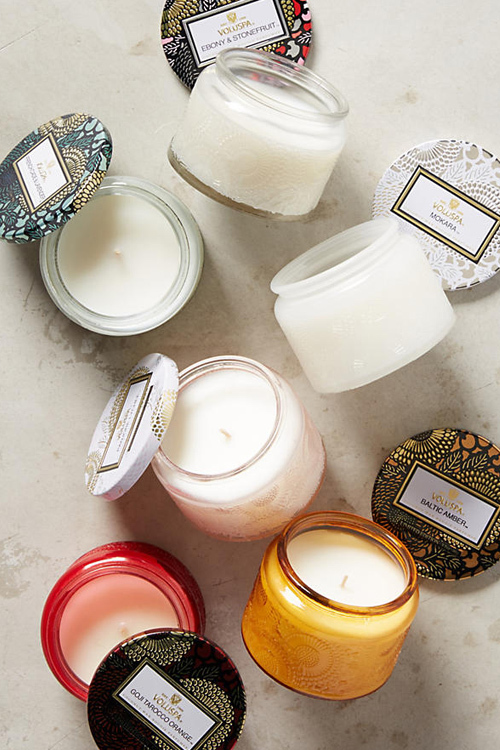 These Voluspa mini candles are limited edition and come in seven different scents. Each one is $10 and even the jars are pretty. Get yours at Anthropologie now. No matter what time of year it is these Essie nail polishes are a great gift to buy or receive. You can get this holiday pack including a pink polish, berry red, navy, and gold, for $12.99 total at Target. We know it’s technically more than the $12 budget, but it’s only a dollar more and SO worth it. Could these be any more festive? 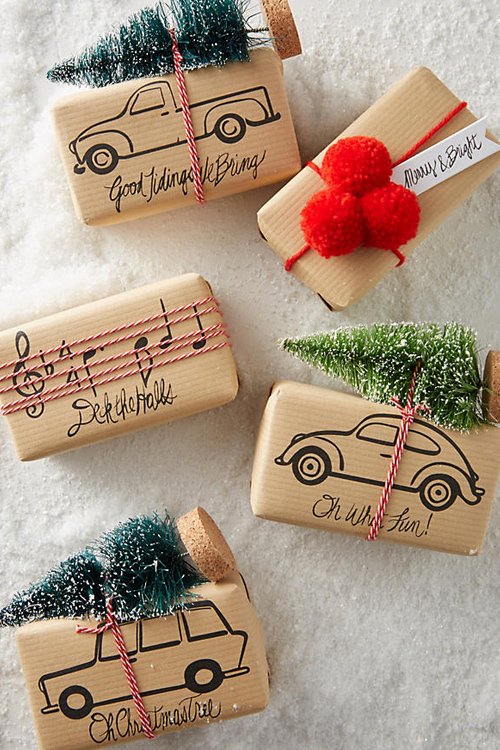 We are in love of these tree-topped soaps from Anthropologie. They are only $9 and have cool designs on the packaging, which would be great for any white elephant game. Jam Jar is officially one of our favorite companies. 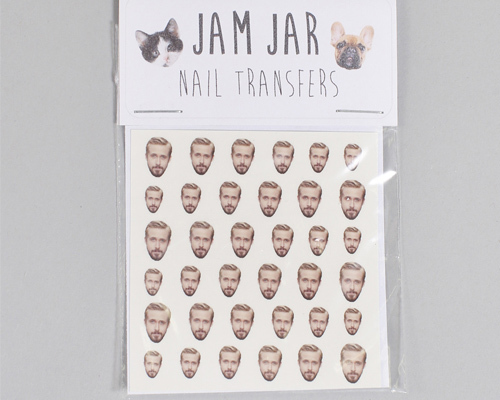 At RiffRaff.com you can get these funny Ryan Gosling nail art transfers for $8. They also have Taylor Swift ones for all you “Bad Blood” fans. We want one of these for every letter. 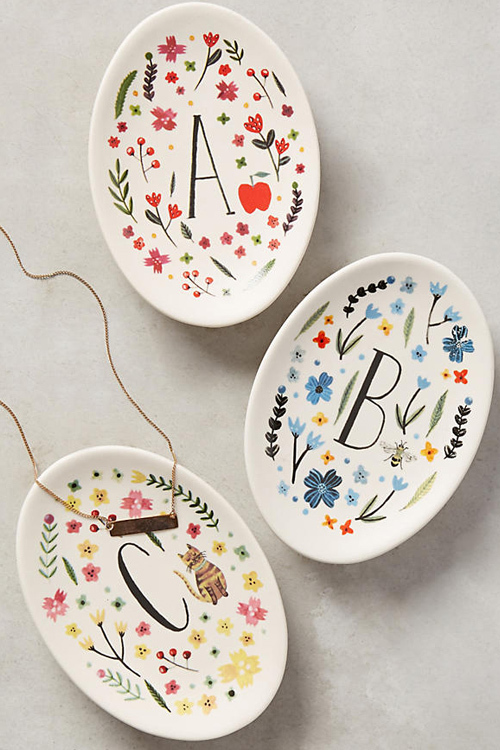 For $12 you can get a beautiful monogrammed trinket dish from Anthropologie. The Amelia Herbertson designs are so pretty that everyone will be jealous of the person who gets this gift. 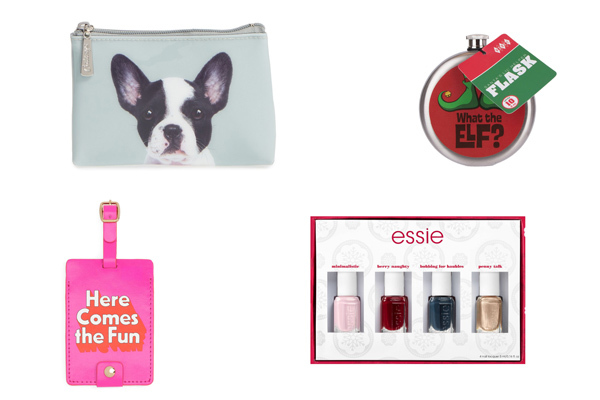 Which fabulous gift for $12 or less are you planning to buy first?